Altpick.com : News : Kustom Kult Featured In GNARLY Magazine! Kustom Kult Featured In GNARLY Magazine! 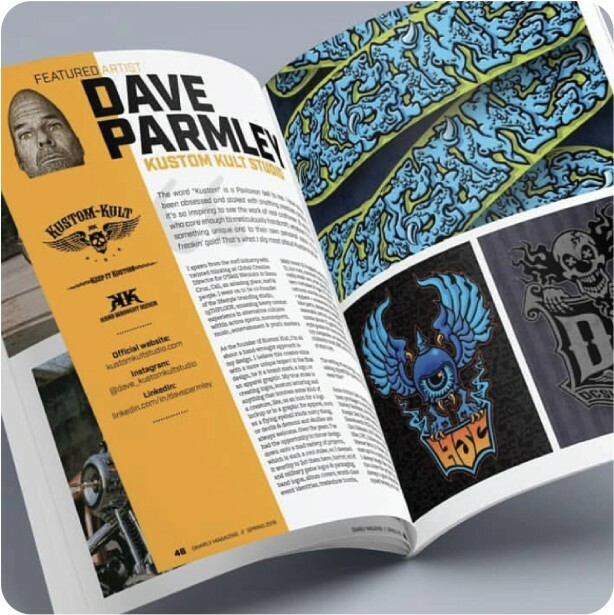 Dave Parmley, and his design house Kustom Kult, has found recognition from many organizations and printed media over the years due to his perfect mix of surf culture, tattoo art and graphic design. This month, he’s the Featured Artist of GNARLY Magazine, “a Kustom Kulture publication”. You can find out more about GNARLY and read its latest issue (no. 8) by following the link below.